When we unpacked our first shipment of Zimbabwe wood carvings in 2003, we found that the empty spaces in the box were filled with blocks of wood with rusty pieces of metal attached. Each one weighed just under a pound. We’d shipped the order by EMS, which is international priority mail, and paid dearly for every pound so we weren’t pleased when these unsellable heavy pieces of filler arrived. “They’re mbiras,” Dominic told us. Since we didn’t order them, we asked him the price and said we’d put them on sale and see what happens. Because each piece was different – some had rusty bottle caps hammered into them, others had carved designs, while still others had signatures carved in the back – we thought our best bet would be to sell them on eBay and in our retail store. One afternoon a young man visit the store, sat on the floor with the mbira in his hands, and played it for the first time until his fingers nearly bled. This was when we began to develop a respect for the instrument. 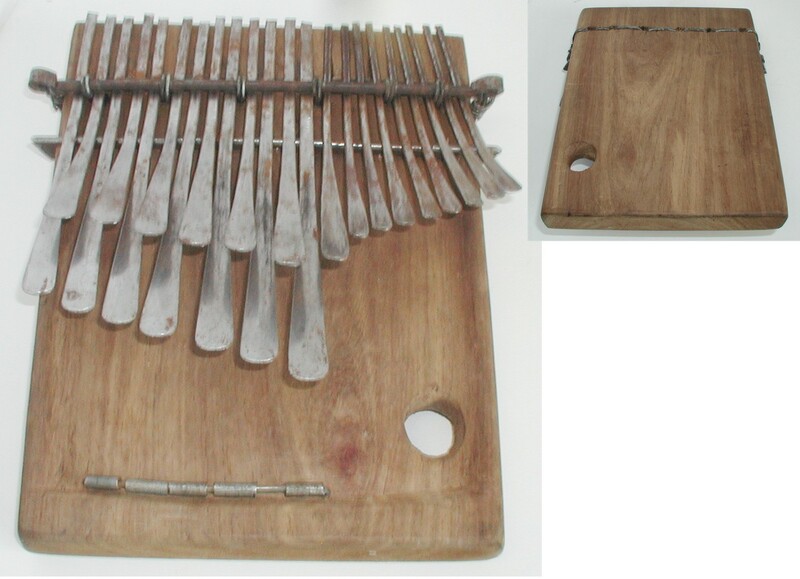 We listed one mbira at a time on eBay as an auction item starting at the cost price. 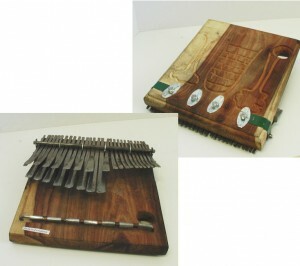 To our amazement, each mbira caused a fierce bidding war, with the resulting bid often being more than ten times the cost. The ones we thought looked better (there wasn’t as much rust or the wood wasn’t cracked) sold for much less than the ones that had almost been tossed in the trash. So while we still didn’t know what we had and what they were worth, we offered a much higher price to Dominic and started placing regular orders. At a Fair Trade Federation conference, I chatted with John Haden of Jamtown Music about the mbiras. 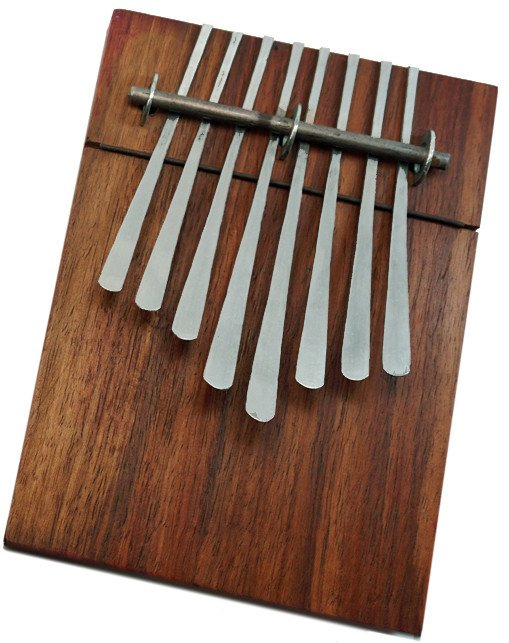 I felt a little guilty that I’d never really embraced the enthusiasm that musicians had for the instrument and was hoping John could help me with my mbira music anhedonia. Ends up he has quite a history with this block of wood with rusty keys. “Something about the sound of the Shona mbira music reaches deep into my soul,” John said. “I wanted to offer authentic thumb pianos from Zimbabwe so that others might experience a similar connection…so I travelled there in 1999 – with one name as my only contact. Shona versions of the mbira do not typically include an 8 key version, but I believed a 15 or more instrument would be too much instrument for the typically American consumer. So I travelled to the North by overnight train and was lucky to find producers that wanted to help create a 8 key thumb piano. I also wanted to produce a video to document my adventure and provide how-to-play instructions for the product. 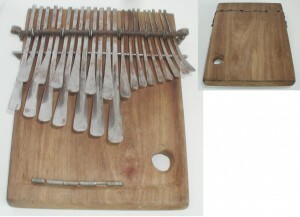 Global Crafts had only carried the 15-key and larger versions of the instrument, so I’m hoping the idea of an 8-key mbira is something I can get my head around. Eight keys? Eight notes in a scale? Could it be that simple? I probably should stick to the Hosho shaker, which Jamtown also carries. It’s not pretty but has great sound and is the perfect accompaniment for the mbira. This entry was posted in Artisan Profiles, Meet Fair Trade Wholesalers and Products. Bookmark the permalink. Oh, what an inspiring story! I love the fair trade percussion musical instruments from Global Crafts and love selling them! This story adds so much inspiration and appreciation for the percussion instruments of world music. I am so happy Global Crafts carries Jamtown Music. It’s always a thrill when I get a customer, imagining that they are going to share their love of the acoustic natural sounds of these fantastic percussion instruments! Thanks for this write up on them, …love it, and learned a-lot about their history! It just makes them even more noteworthy than they already are! Here’s to the future jamming & woodshedding musicians (a recognition of the need to sequester oneself and dig into the hard mechanics of the music before you can come back and play with a group in public) of World Music around the Globe!